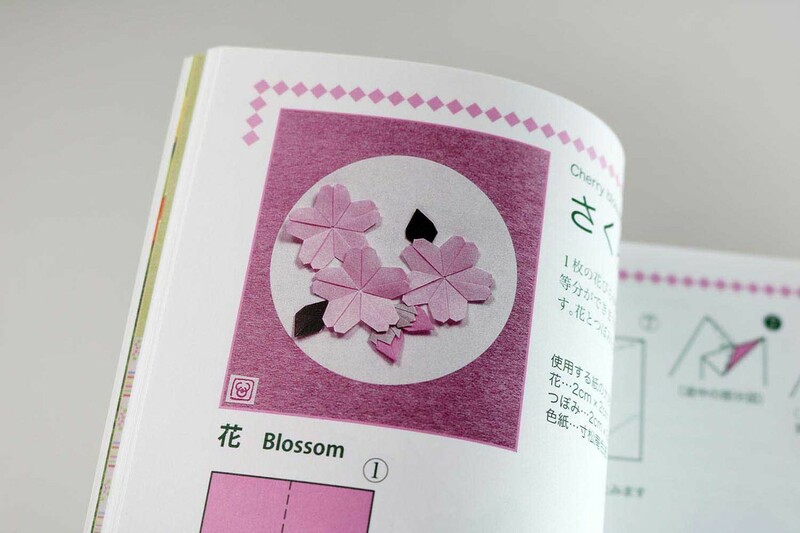 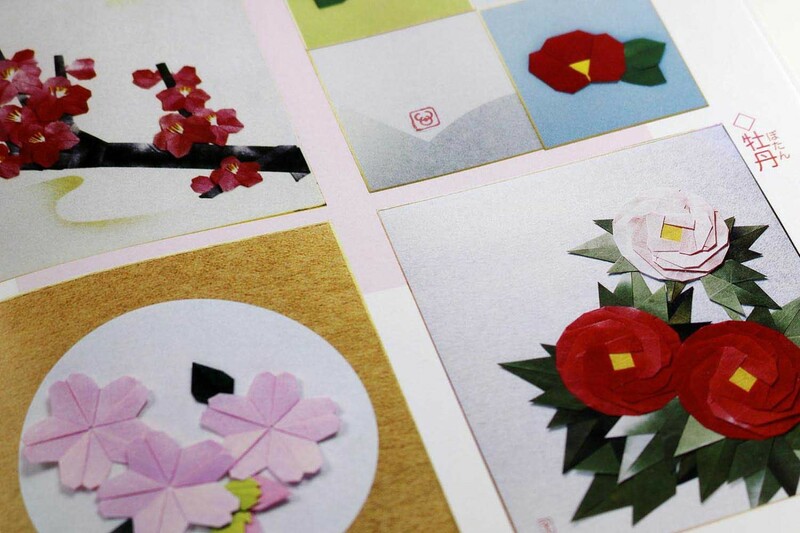 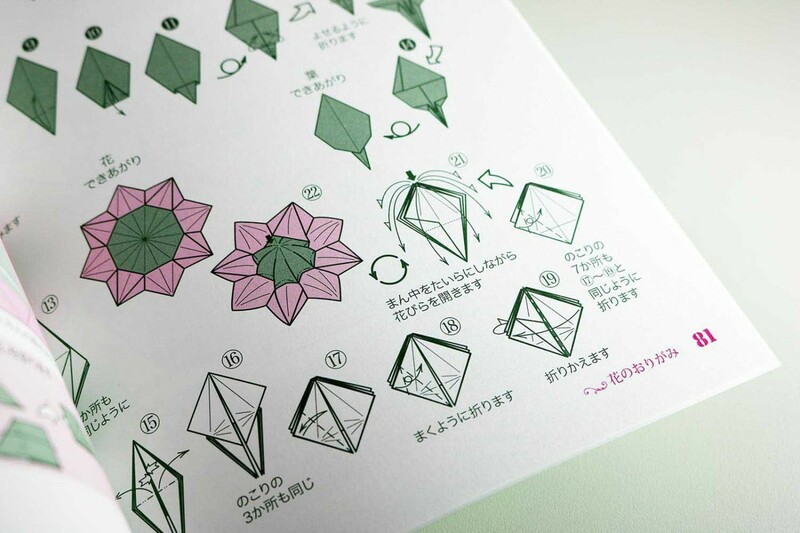 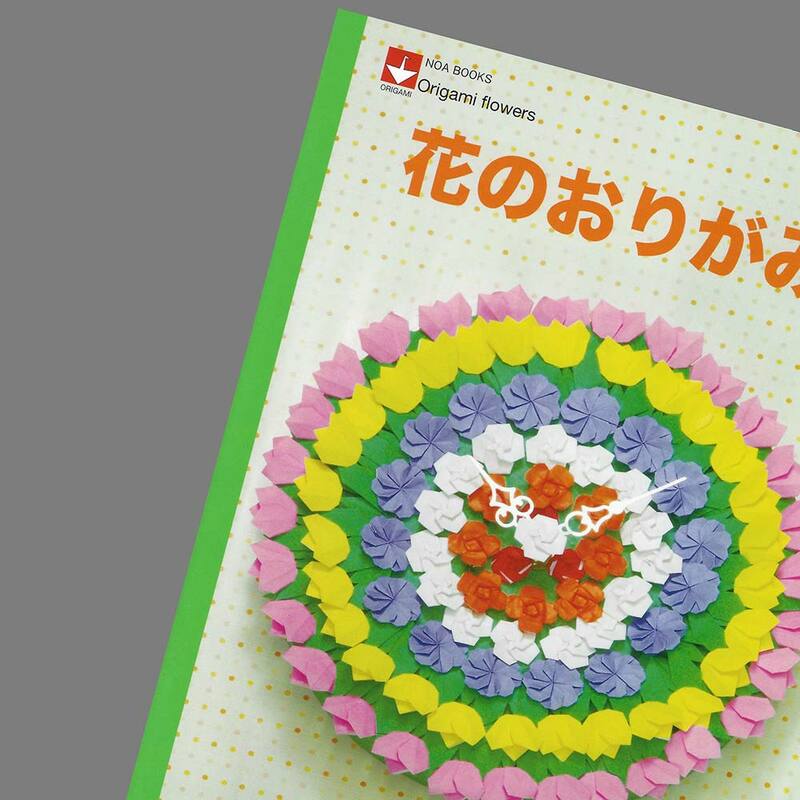 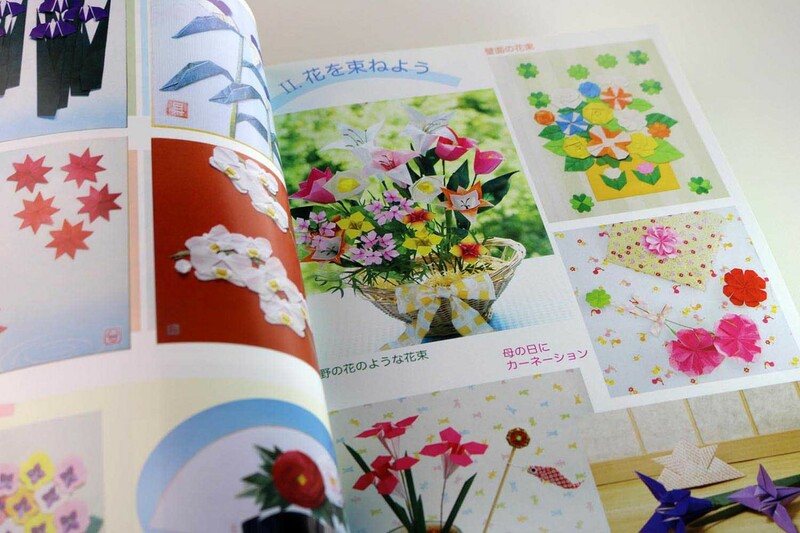 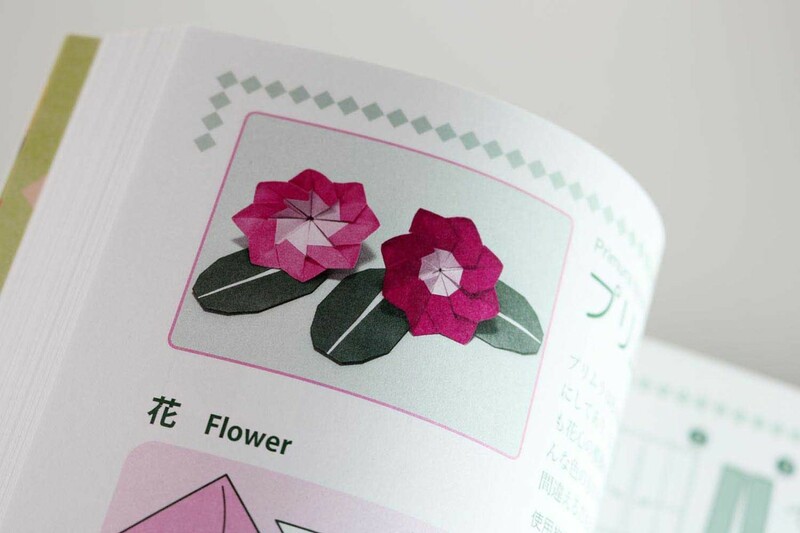 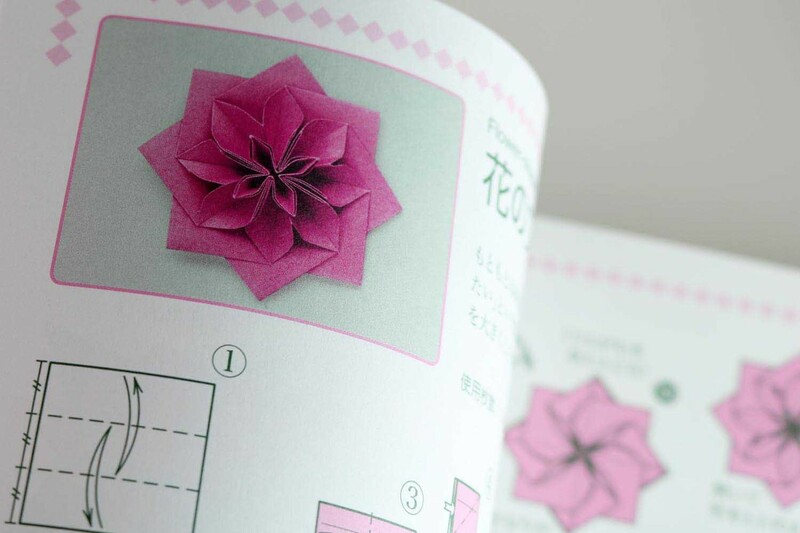 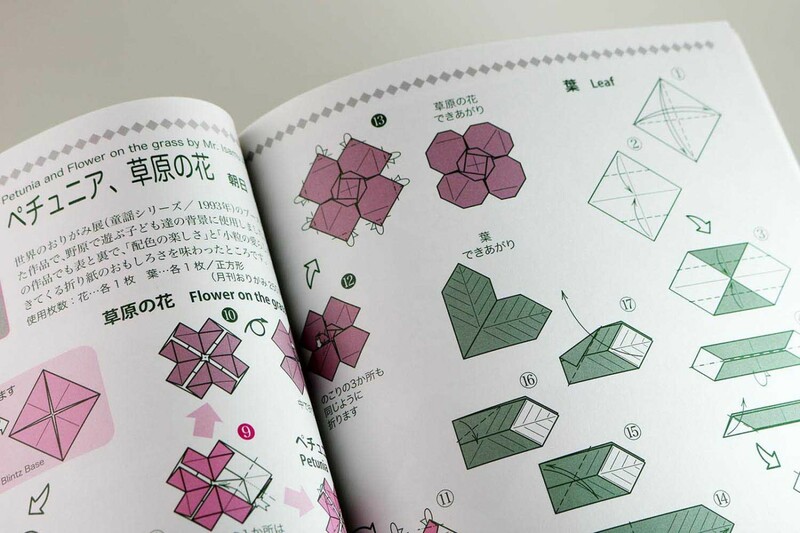 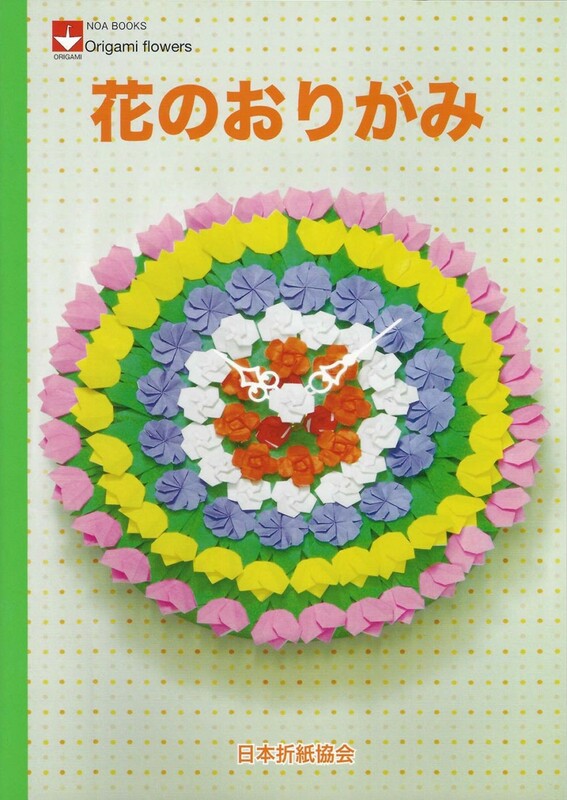 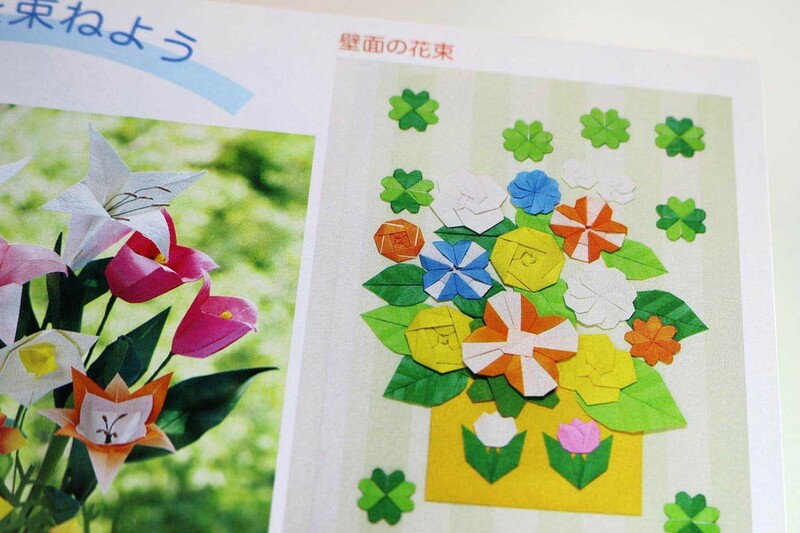 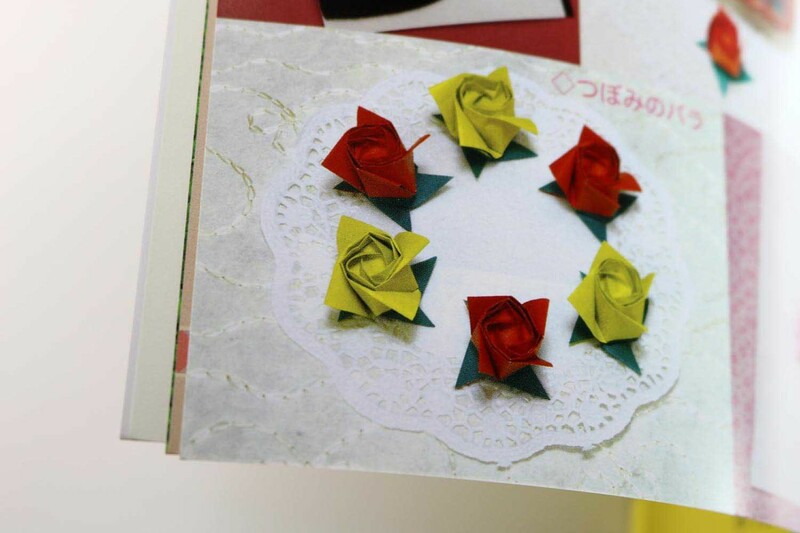 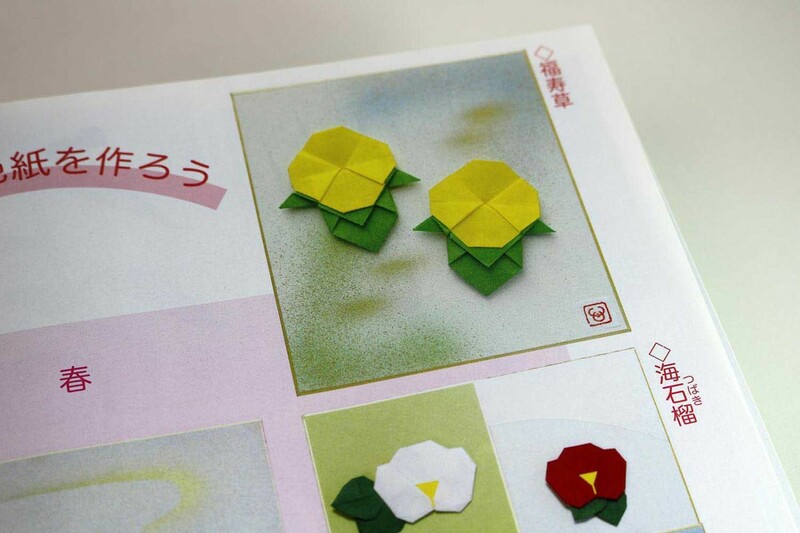 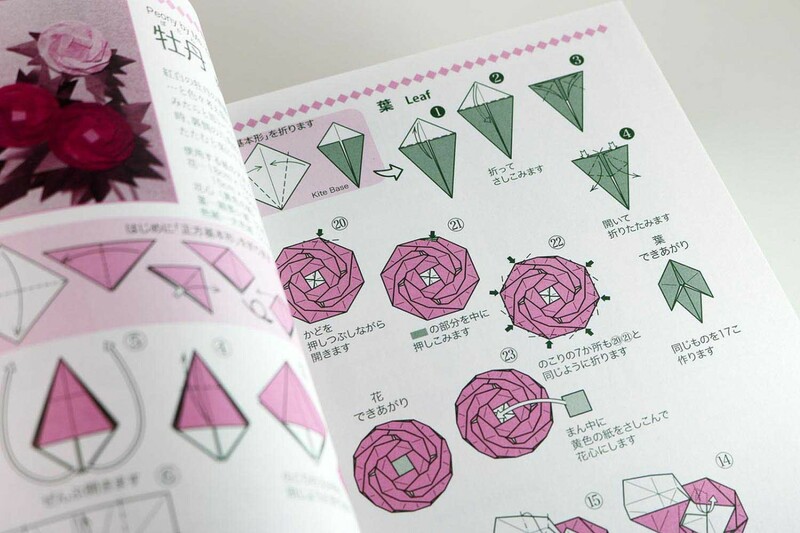 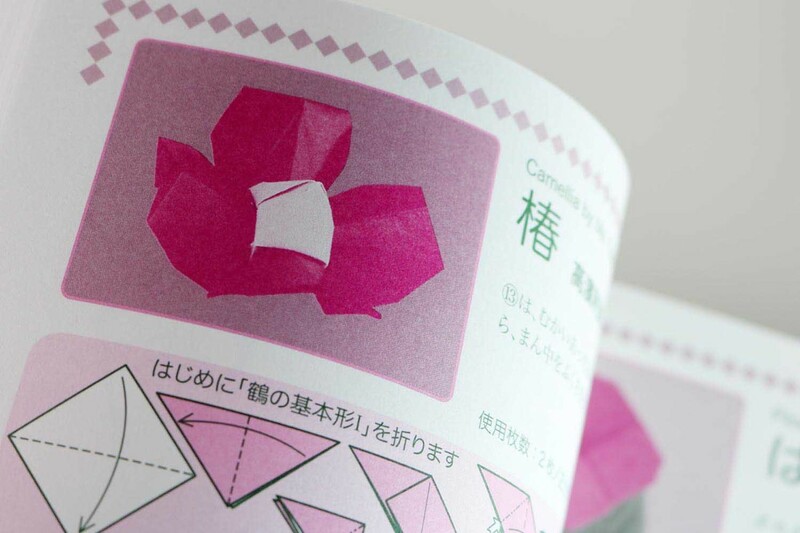 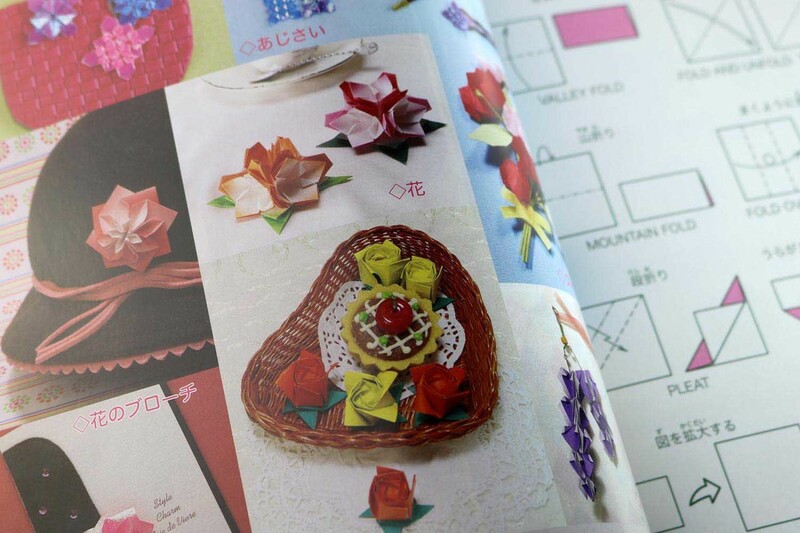 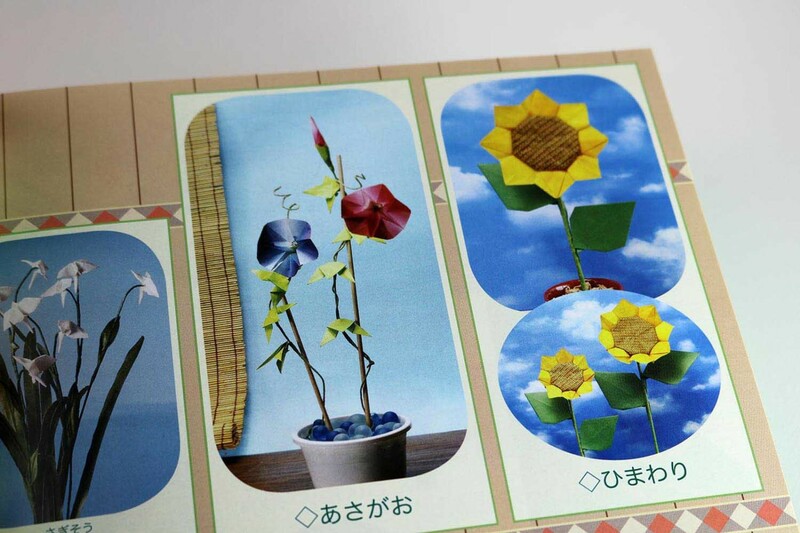 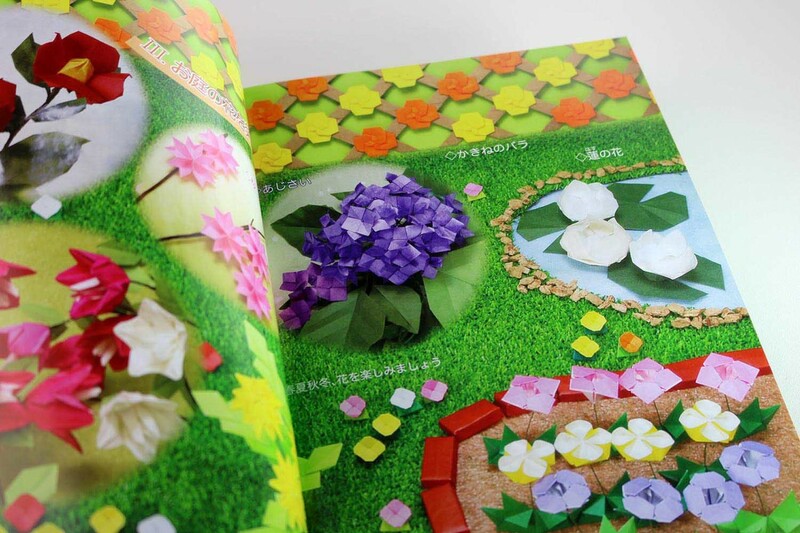 NOA (Nippon Origami Association) presents more than 55 flower and flower models in this book, compiled from the sheer inexhaustible pool of their monthly magazine “NOA Magazin”. 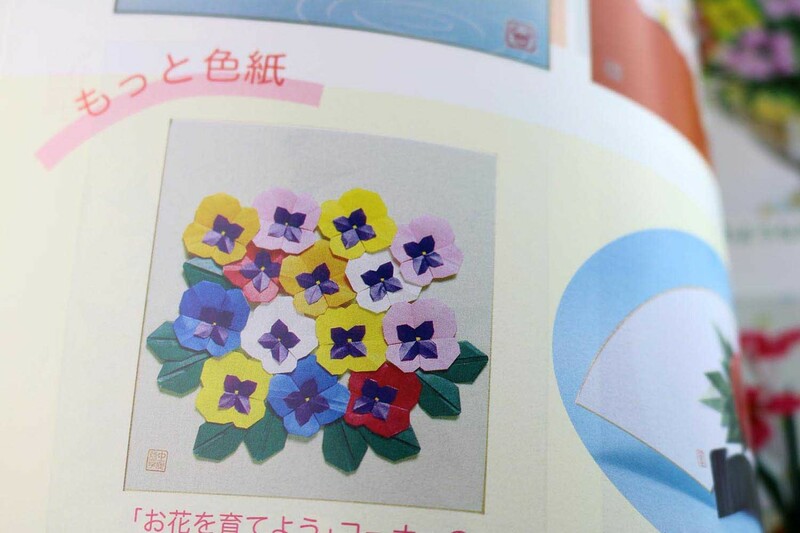 You can fold: Adonis, Primrose, Plum Blossom, Camellia, Cherry Blossom, Peony, Iris, Dayflower, Maple, Orchid, Tulip, African Violet, Petunia, four-leaf clover (2-part), Lily, Iris, Clove, Poppy, Fence Rose, Dandelion, Azalea , Lotus flower, hydrangea, hyacinth, pansy, sunflower, morning glory, Chinese bellflower, wisteria, cornflower, rose and more. 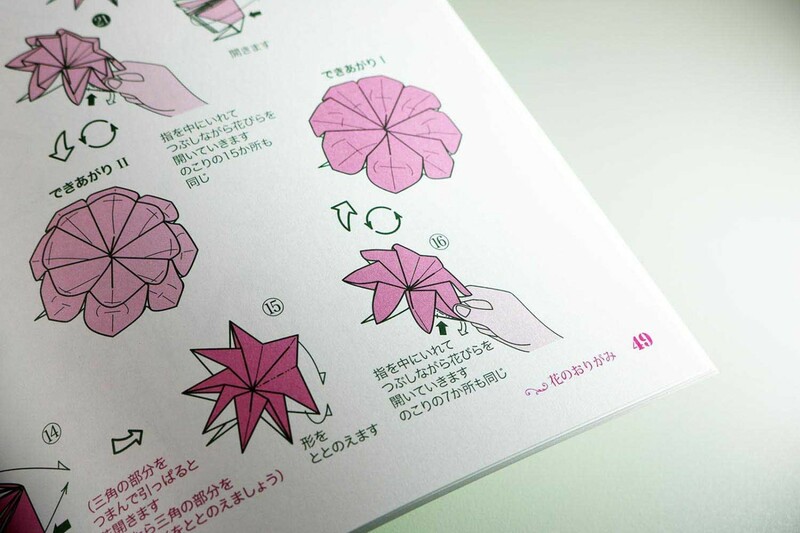 For all flowers, there are also the instructions for the leaves. 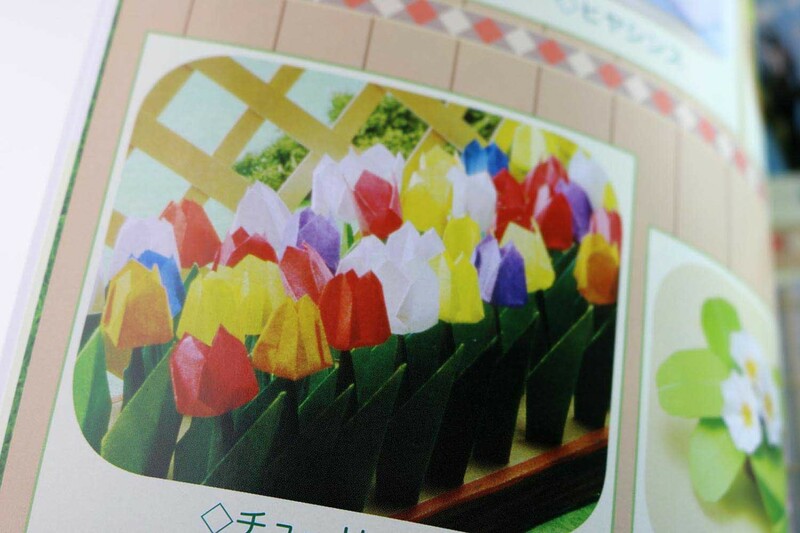 Sometimes the same flowers are presented by different authors. 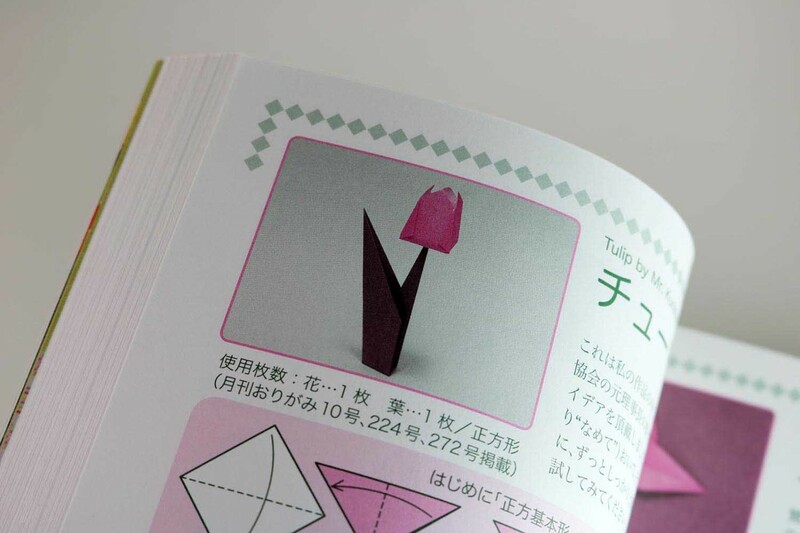 Almost all models are based on a square and are folded from only one sheet of paper. 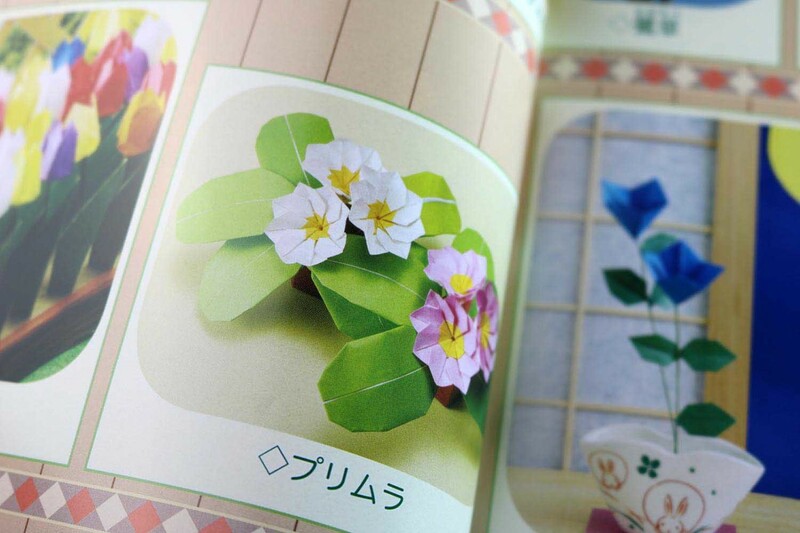 On the first 8 pages all models are presented on color fotos, the rest of the book is consistently bicoloured.